An object of class glm. 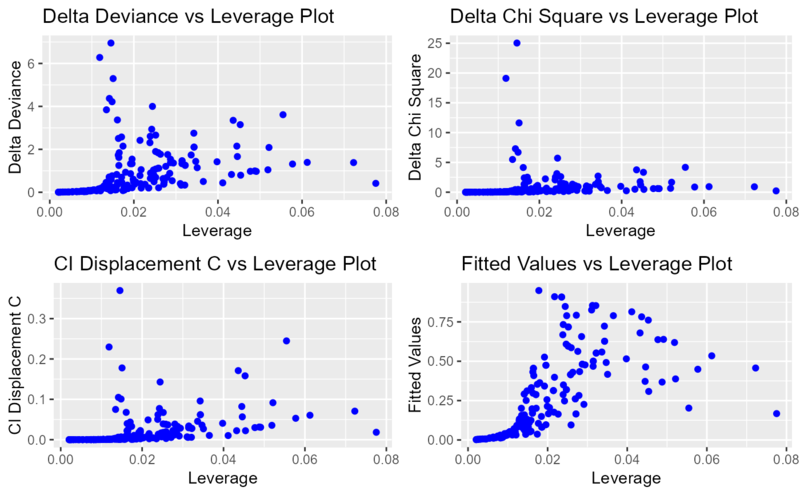 A panel of diagnostic plots for leverage. Fox, John (1991), Regression Diagnostics. Newbury Park, CA: Sage Publications. Cook, R. D. and Weisberg, S. (1982), Residuals and Influence in Regression, New York: Chapman & Hall.